A new vehicle loses some value the minute you drive it off the lot — and 20% to 30% total in the first year. After that, the car’s value will continue to decline. As of 2017, the average rate of depreciation, or lost value, will be 17.8% a year during years two to six, according to Black Book, which tracks used-car pricing. But standard auto insurance pays only what a car is worth at the time of a theft or accident. When you owe more on your car loan or lease than that, gap insurance comes to the rescue. Gap insurance supplements the payout you get from comprehensive or collision coverage if your car is totaled or stolen. Some gap insurance plans will also cover your insurance deductible. That’s the amount subtracted from the payment for a comprehensive or collision claim. Standalone gap insurance is typically sold online through a one-time purchase from a website such as Gap Direct or Gap Insurance Quotes. Auto insurers typically charge around $20 a year for gap insurance, according to the Insurance Information Institute. You’ll also need to buy comprehensive and collision coverage. Lenders may charge a flat fee of $500 to $700 for gap insurance, according to United Policyholders, a nonprofit consumer group. 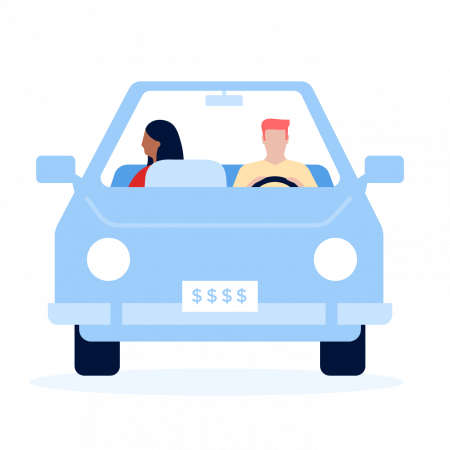 If you finance the car through a credit union, gap coverage may be less. Either way, if you add the coverage to your loan, that means you’ll also pay interest on it. If you purchase standalone gap insurance online, it’ll typically cost around $200 to $300 one time. Adding gap coverage to an auto insurance policy is typically the best buy. You generally need it just for a few years until the gap between what you owe and what the car is worth closes. Not all car insurance companies provide gap insurance or an equivalent, or offer it in all states.